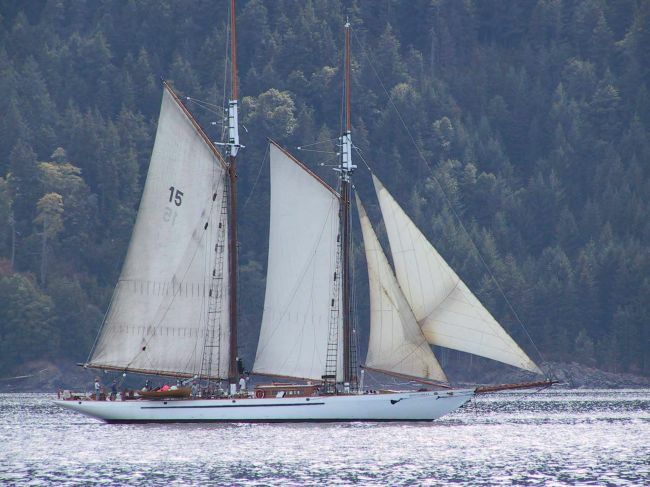 Here is a photo I took a few years ago of Adventuress sailing south of Sucia Island in the San Juan´s. You are welcome to it. Thanks... Sorry it took me a while I´ve been so busy tracking the Robby II the last bit I neglected your post.